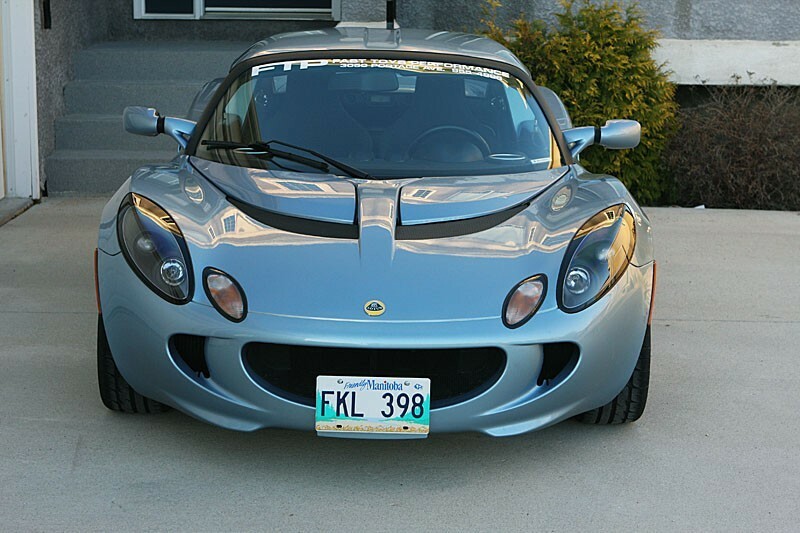 Looking for a simple and effective method to mount your license plate on your Elise or Exige without drilling? FTP has the answer for you! 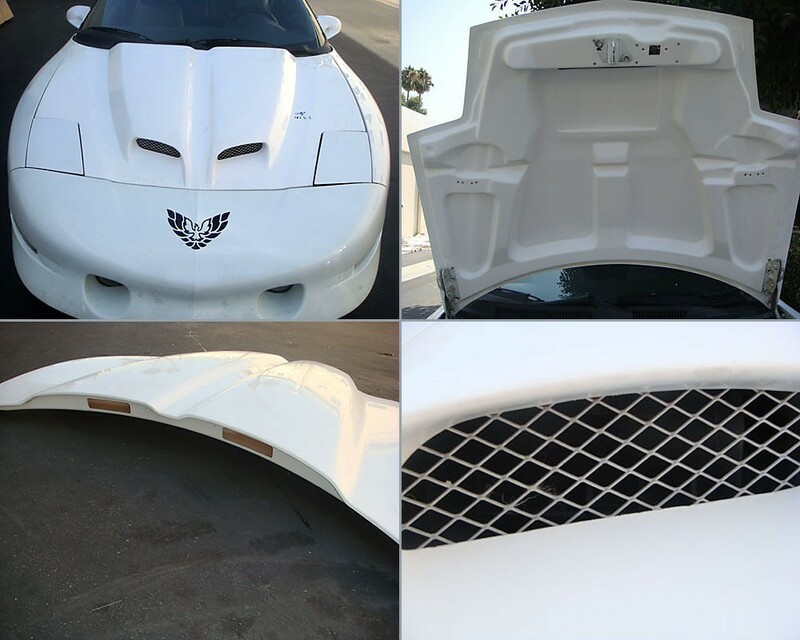 Nobody wants to drill into their expensive clam when required to mount a front license plate. Not only do you risk damaging the clam, you also leave several ugly holes which may affect your re-sale value. 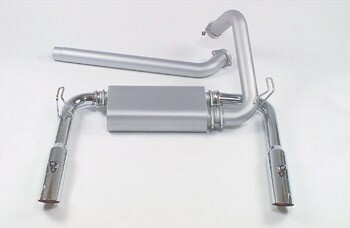 Our solution uses the factory tow hook mount to easily and solidly mount your license plate with no drilling required! 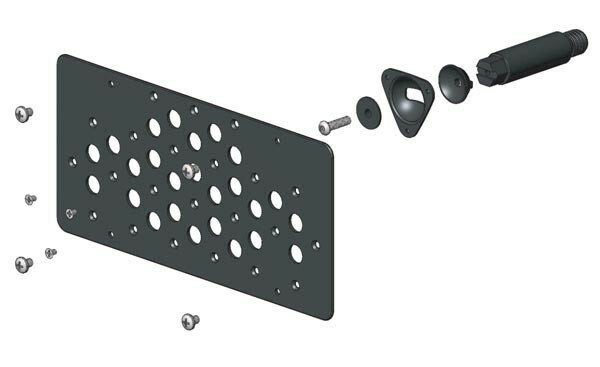 The FTP license plate mount can be installed in less than 2 minutes! No other license plate mount is as easy to install as this one. Simply screw the machined aluminum mount to your factory tow hook hole, screw on the license plate frame and attach your license plate. 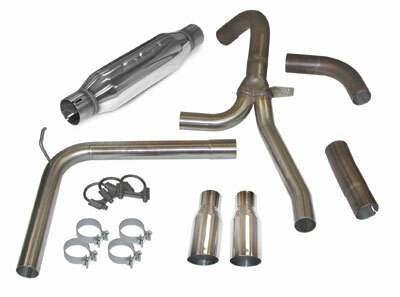 No removal or disassembly of any part of the car is required. 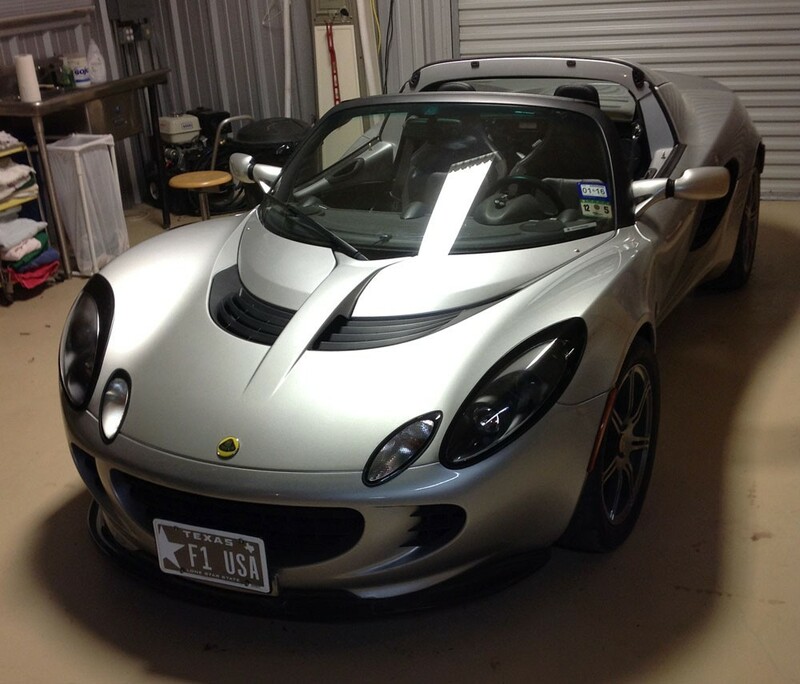 The FTP Lotus Elise & Exige license plate mount can be removed and re-installed in seconds. 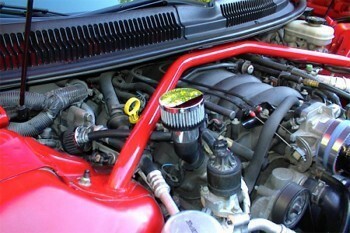 This makes it ideal for track use, car shows or when you just don't want to run a front plate for any reason. 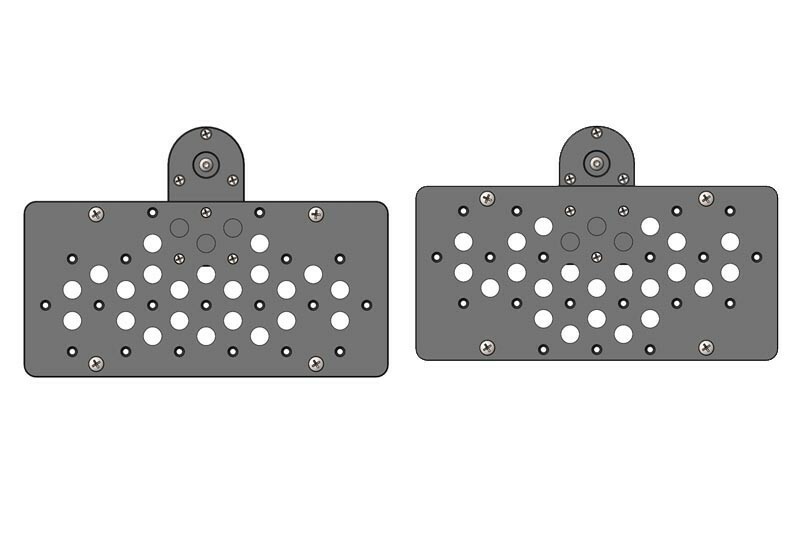 Not only is the mount light weight, it also allows multi position adjustability for your license plate. You can move it up, down, left and right easily. Don't like the way it looks, change it in just a few minutes. No system is as easy and secure. On top of that, no part of the mount or license plate touches the clam. There is no need to worry about rubbing or scratches. 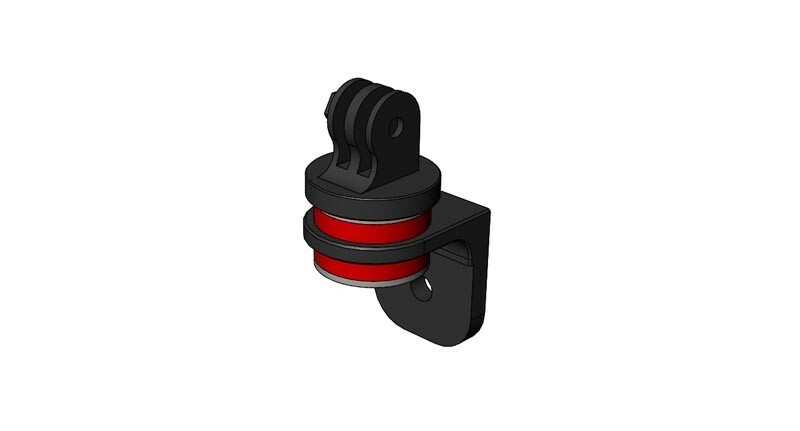 The mount is solid and doesn't risk hitting the ground on curbs or inclines. 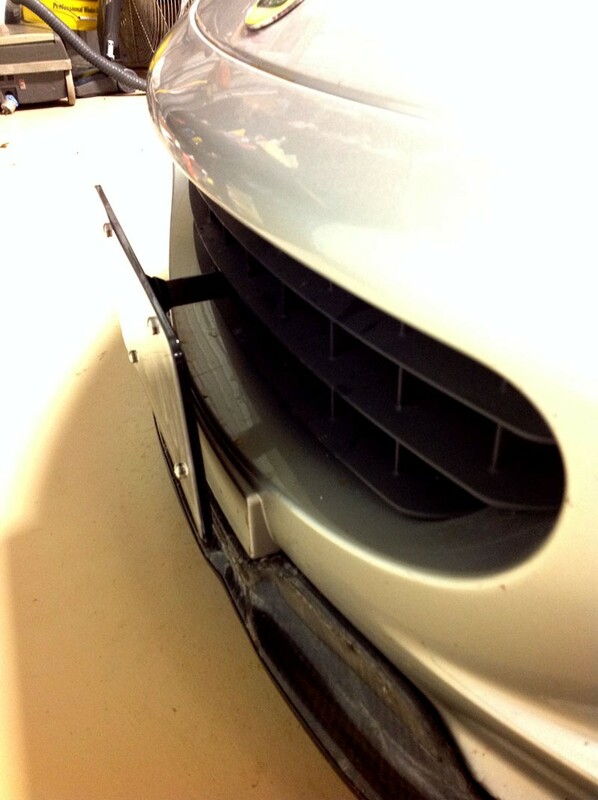 Note: Due to the factory front spoiler, Exige's owners cannot mount the license plate in the lowest position. A middle or top position is required on these vehicles. 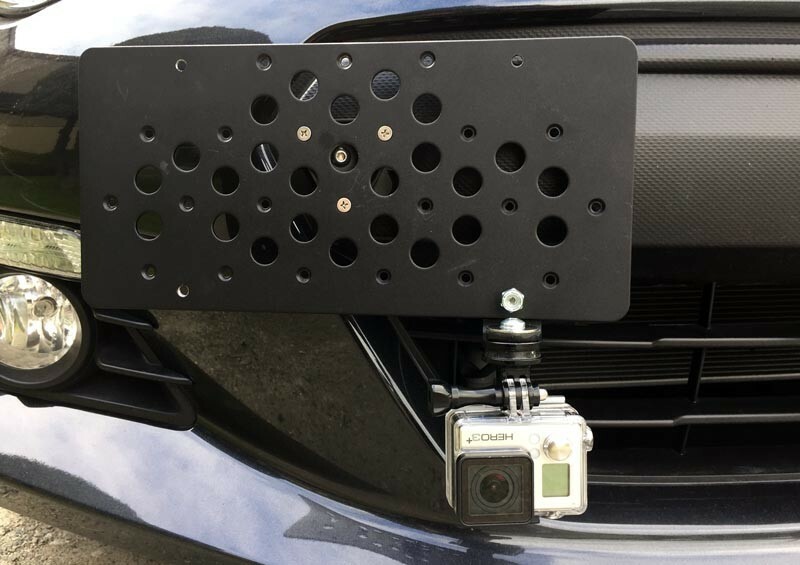 The V2 can mounted at the edge of the mounting plate to avoid some parking sensors or to drop the license plate lower on the car. 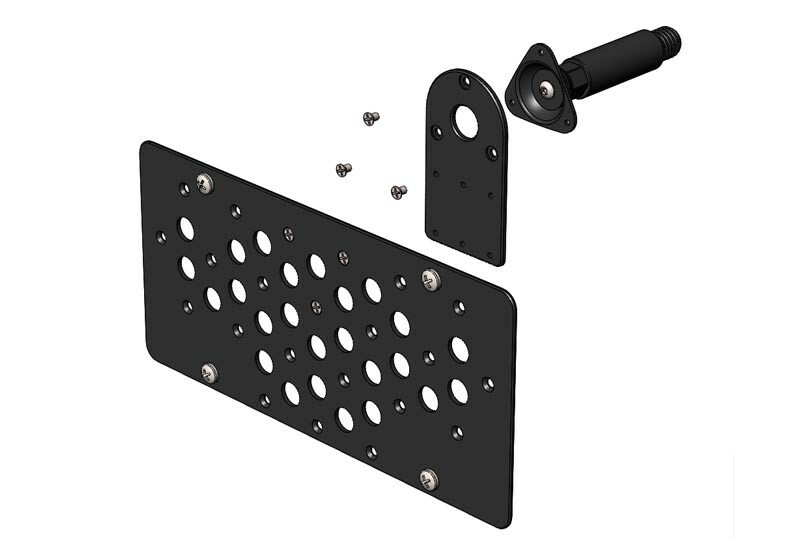 The extender bracket gives mounting options to clear more parking sensors by lowering the mounting plate below the tow hook point. 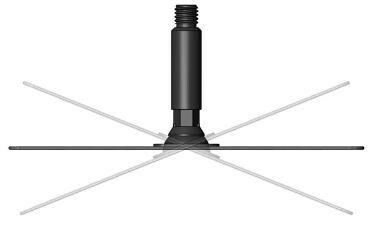 Two heights can be achived by installing the mounting plate 180 degrees. 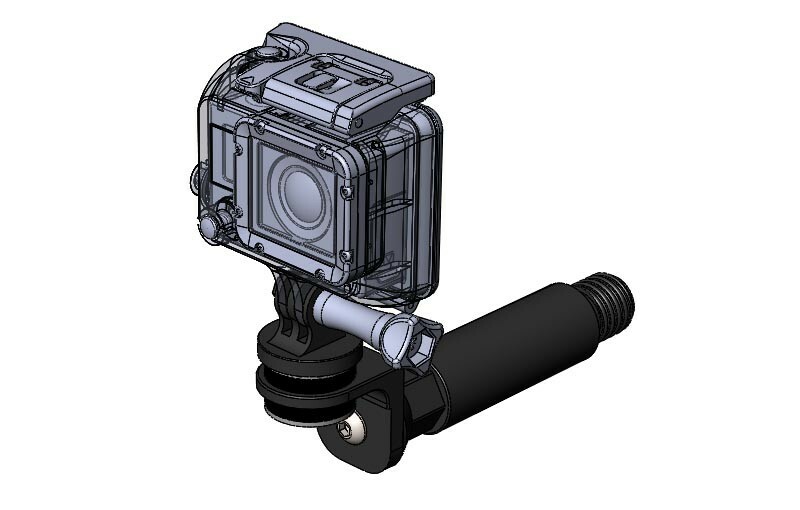 Now you can attach your favorite action camera (with 1/4-20 mounting point) or Go-Pro to the V2 plate mount! Multiple positions clear features on the car and alos low for lower positions to provide video closer to the ground for a unique perspective. The camera mount can also be used with the mounting bolt alone for track days or other events where you want to remove the front plate. 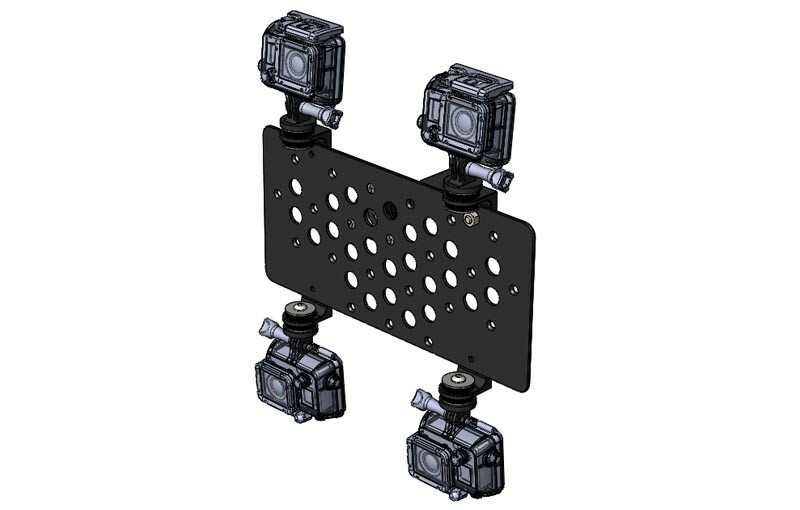 This mount uses sorbathane bushings to absorb as much chassis vibration as possible to ensure steady videos.